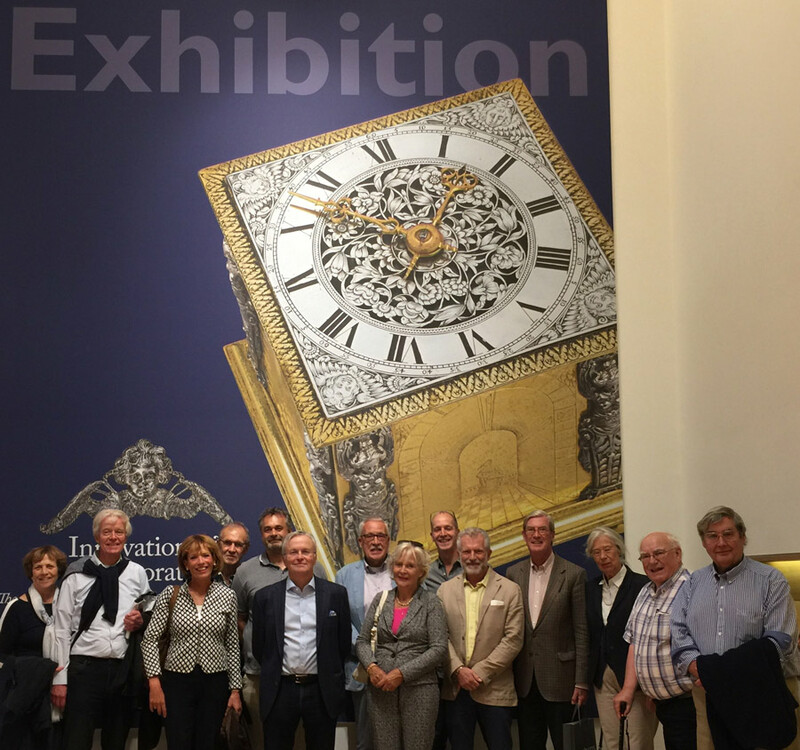 This September, several thousand clock lovers from all over the world flocked to Innovation and Collaboration, an outstanding exhibition of early English clocks and watches at Bonhams, New Bond Street, London. The exhibition (http://clockexhibition.org.uk/) was sponsored by two horologists – Dr John C Taylor and another collector who wishes to remain anonymous - who displayed their private, comprehensive collections. Alongside the display itself, horological experts gave daily, complimentary tours to ignite the imagination and provide deeper insight into the exhibits and the world in which they were created. Rave reviews were received from the visitors with comments including, ‘historically illuminating, intellectually stimulating, utterly brilliant, a triumph, absolutely magical’ and ‘timeless’. Accompanying the exhibition is a fully illustrated hard-back book, plus a half leather limited edition version, called Innovation andCollaboration, written by the event’s curator, Richard Garnier plus historian Leo Hollis. It includes photographs of each exhibit, and chapters on clockmaking in London, architectural influences and Fromanteel. The book proved hugely popular with nearly two thirds of the limited print run sold by close of play of the exhibition. Innovation and Collaboration celebrated English clock making between 1600 and 1726, bringing together over 100 clocks, watches and documents and exploring five themes which analysed the story of clockmaking. Clearly a period of significant historical importance, the work of Edward East and Thomas Tompion, plus the clockmaking families of Fromanteel’s and Knibbs, was explored in detail. Subject matter ranged from initial imprecise timekeeping through to the highly accurate timepieces of great mechanical complication, along with crown patronage and the luxury market. Given that the majority of clocks are privately owned, they are rarely in the public eye. What made the exhibition particularly exciting was that many of the exhibits were displayed collectively for the first time. James Stratton,Director of the Clock Department at Bonhams, said, “These collectors have cherry-picked their own collections and brought in a dozen loans from suchren owned institutions as The Science Museum, The Worshipful Company ofClockmakers, Belmont House and the Zuylenburgh Planetarium in the Netherlands, in order to tell the most complete story of early timekeeping ever made public. “The story is covered by national and regional museums throughout the world but not in such concentrated depth as could be found at Innovation and Collaboration. “As an example, only five clocks by Samuel Knibb survive in the world, and they were all in the exhibition. The earliest PendulumClock with a fusee was also included. The most accurate clock in the world from1720 to about 1870, made by John Harrison, was at Bonhams. So, this exhibition offered the opportunity to see some highly important clocks all together for perhaps the one and only time. Innovation and Collaboration not only provided a fascinating and unique insight into the practices and partnerships of the pioneering clockmakers but also sought to engage with visitors by opening up the world of London clockmaking during the seventeenth and eighteenth centuries. These clocks and the accuracy of time-keeping that was accomplished some 300 years ago, helped to shape the world as we know it today. After all, what could be more important than time itself? People wishing to purchase a copy of the Innovation andCollaboration book can do so via the exhibition’s website (https://www.clockexhibition.org.uk/book). 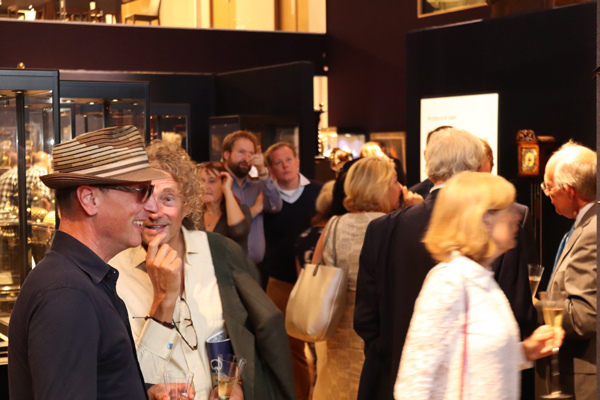 The exhibition organisers and Bonhams would like to thank all of the people who visited the exhibition and for their enthusiasm and very kind words of appreciated.